Control Of The Going are one of our favourite new bands to emerge this year. Their debut EP Epilepsy Bus Ride was released a mere two months ago, but they're not resting on their laurels and have released a new EP Wild Flower. Even in such a short space of time since their debut, the lead track demonstrates just how quickly and how far they're progressing. 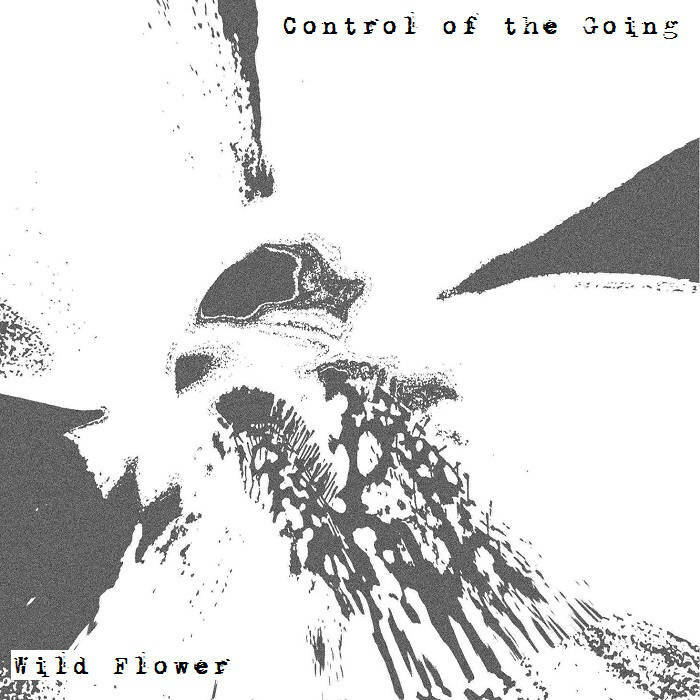 Wild Flower was apparently written, recorded and mixed in under a week. But you'd never tell from listening to it. Dispensing with any pretension to radio play, it starts with a thrilling, chiming intro that lasts a minute and a half before front man Liam comes in. Already his voice sounds fuller, richer and ever more confident, and, most importantly in a world of identikit Gallagher / Turner / Fray wannabes, instantly recognisable. It won't be to everyone's taste, but as he enunciates each word by means of emphasis, the impact on the listener is undeniable. The EP concludes with an instrumental version of the title track - a statement of intent that this band is as much about the music as they are about the words in the songs and emphasizes just how brilliant they are. In Line follows in a similar, but far from identical vein. A rich, deep sonic landscape created by the six of them, never claustrophobic or suffocating but still enveloping the listener and coming at you from all angles. Yet, the beautifully crisp production lets you hear the subtlety of the bass line, the keyboard that lurk beneath the surface and the rhythmic thrusting drum beats that drive the song along. Like Wild Flower it has a hook that you'll struggle to get out of your head. This is a band in the early stages of their development, with a modus operandi that is all about writing songs and recording them quickly and capturing a moment, a place in time and not over-thinking, over-crafting their songs. It's a refreshing change for a band to be so spontaneous, so of the here and now. And if this is what they come up when they start off, imagine how good they're going to become.